So... I’ve started a Project Life album! For those of you who don’t know; Project Life is a system created by Becky Higgins for documenting memories simply. I see it as a quick & easy way to scrapbook. I started Project life because I take so many photos and I’ve been wanting to get them printed and put into a photo album for a while. I love flicking through physical albums and I feel like you forget about them when they are just stored digitally. When I found out about Project Life I thought it was perfect, it’s like an album, a diary and a scrapbook all-in-one. 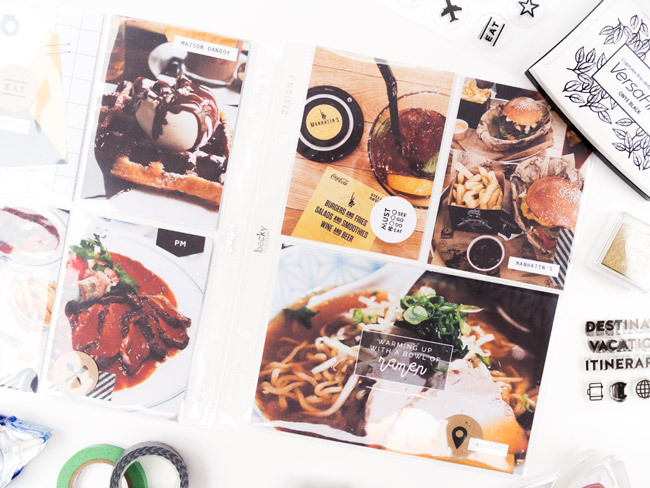 It’s also much quicker than the traditional way of scrapbooking which is a bonus because I love getting crafty, but I don’t have much time either. There are loads of kits that you can choose from and there are a lot of other brands that sell special kits for Project Life as well. I’ve been trying to save some money as it can get pretty expensive starting out, so I’ve been designing my own journalling cards and printing them at home. I’ve bought a few stamps (ugh I LOVE stamps) and general tools to start out and I’ve really been enjoying it so far. Although, I find that it’s a bit more difficult to get supplies here in the UK and they’re also more expensive. My favourite UK online shop so far is Craftie Charlie; they have a huge selection of supplies and stamps, but the site is a pain to navigate! Studio Calico is a great one, they're based in the US but they have reasonable shipping prices to the UK. I’m using the 6x8 format at the moment and I love it because it’s small, but I’m finding it hard to narrow down my photos for spreads because I take so many! I do like to focus more on the photos though so I don’t use many filler cards which helps a bit. I’ll probably go for a bigger format for my next one but so far it has been great. I think Project Life is a great way to document your memories and I hope that I’ve inspired at least one person to start documenting theirs too. Let me know if you’d like to see a more in-depth post about my album and the supplies I use. Also, I’d love to know if you scrapbook too, and any recommendations on where I could buy supplies in the UK would be awesome! Brunch at West Thirty Six, London. First of all, it has been ages since I’ve posted anything on here! I have a lot of catching up to do so I thought I’d start with a good one. 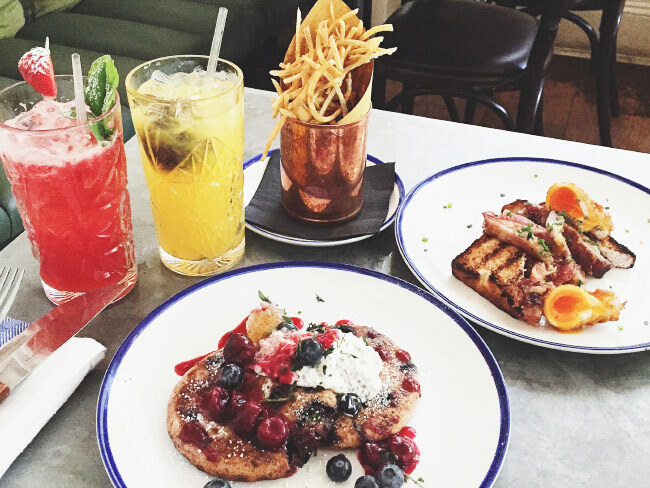 Last month, me & D went to West Thirty Six in Notting Hill for some Sunday brunch. We got there just after midday and were seated downstairs which was actually really quiet. We didn’t see the upper floors but downstairs was lovely, I love the decor and it felt really homey. 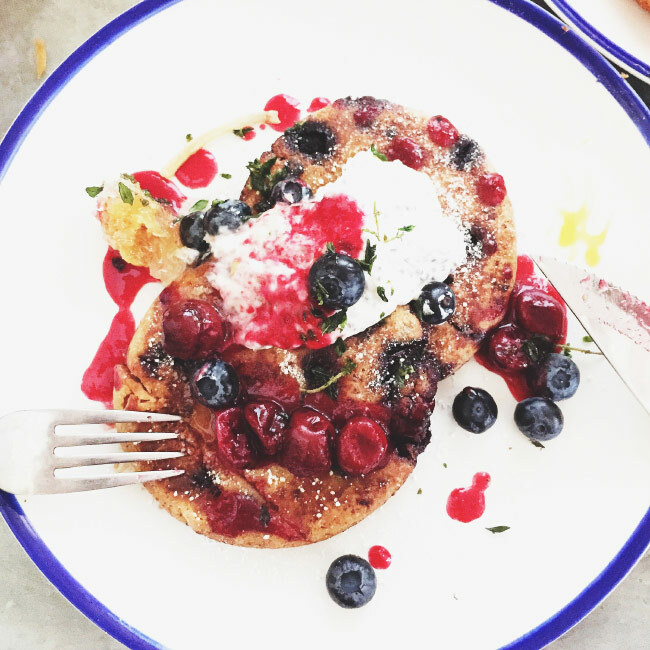 What’s your favourite weekend brunch? We stayed at Hotel Choiseul Opera which we got for a pretty decent price. The hotel is in a great location and there are loads of Metro stations within a 10minute walk. We got it for the same price as hotels that were further out. We didn't actually realise what a great location it was in until we actually got there. It was close to Gare du Nord and there was a direct train to Disneyland from Auber (metro), which was a short walk away. The hotel itself was small but our room was the perfect size for the 3 of us. It was clean, cozy &... noisy (but we all slept like babies haha). I’d defo stay here again & would recommend it for a short stay in Paris. 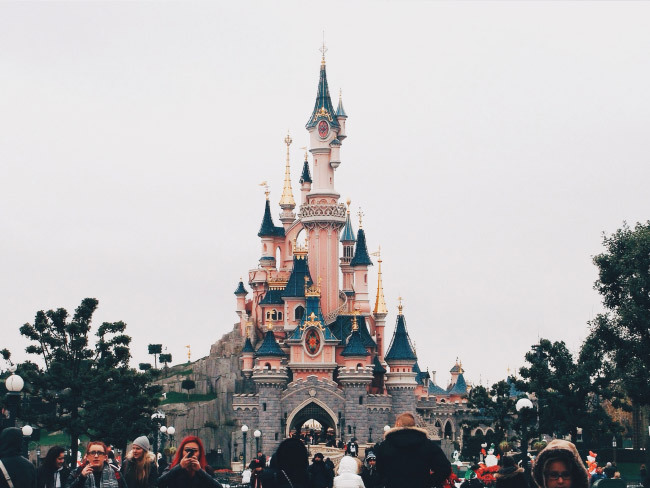 As soon as we arrived we dropped our bags off at the hotel and headed straight for Disneyland Paris. None of us were too fussed about the rides, we just loved being there! We did go on a few rides though, my fav was Space Mountain: Mission 2. I fell in love with the Tsum Tsum plushies and had to get myself a Mickey one. After we got back and had dinner, we just walked to the Louvre and to Galeries Lafayette to see the lights. We did plan to go up the Eiffel Tower but were just too tired and cold! 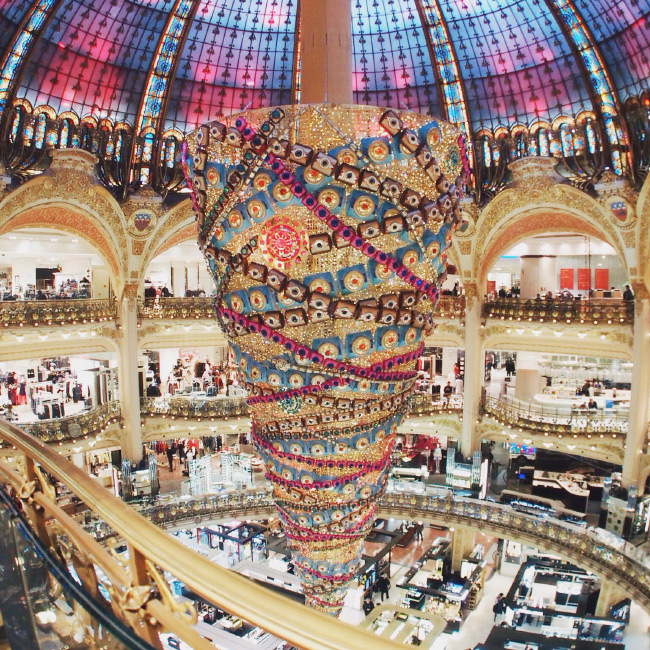 The next day, we went back to Galeries Lafayette to go up the terrace and to also see the humongous upside down Christmas tree. Whilst we were there, we grabbed some breakfast before it was time to check out of the hotel. 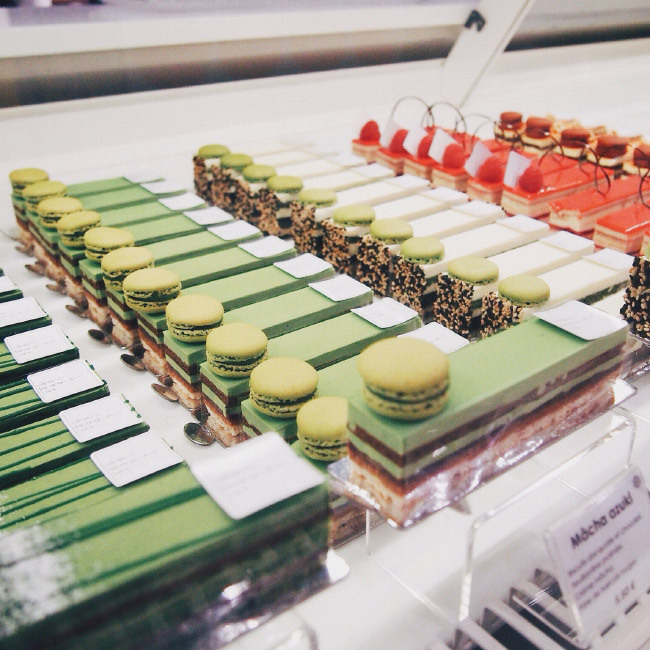 We spent the rest of the day browsing around, eating and made a quick trip to Trocadero. We made one last trip back to the terrace at Galeries Lafayette to see the view at night. We then rushed back to the hotel to pick up our bags & took an Uber to the train station to go home. I have been loving Uber btw, I’ve taken 3 journeys with them now & I defo recommend the app. Use my promo code (julieh664) & get your first ride (under £10) for free! So we didn’t get up to much whilst we were there but I had such a good time with the girls. It’s a lovely city to be in during the Christmas season. It was absolutely freezing though & I actually wore all the clothes I had with me on the second day! Will you be going on a winter getaway? 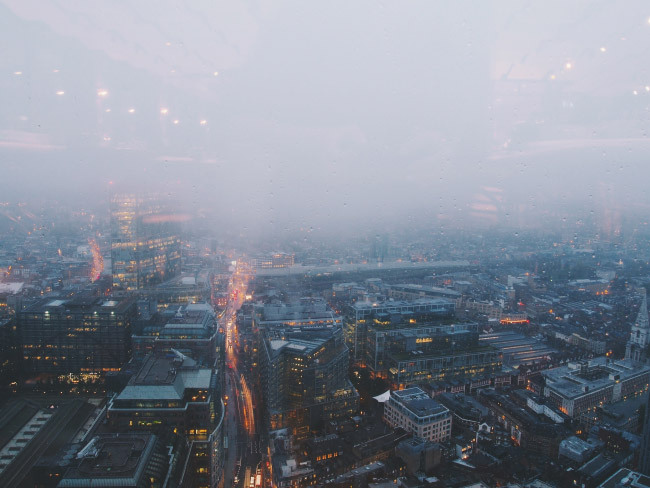 Breakfast in the Sky: Duck & Waffle, London. 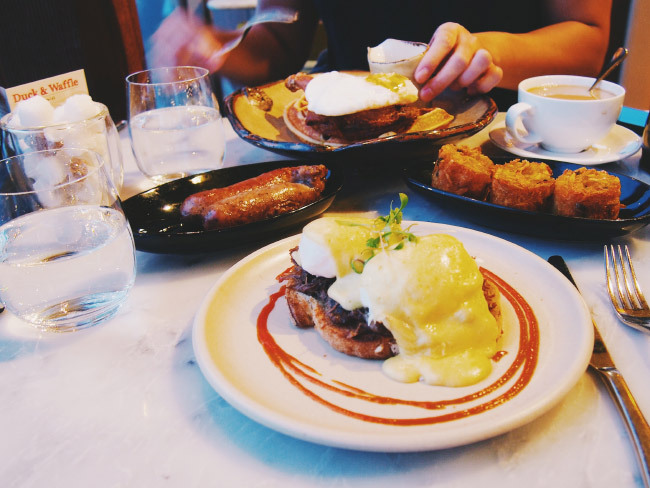 On my boyfriend's birthday, we went to Duck & Waffle for breakfast! He hadn't been there before so I thought I'd make it a little extra special and book a table for breakfast during sunrise. So there we were, 6:30am in the morning, still half asleep. It was too early in the morning to have a proper breakfast, but being the people that we are... we went for one anyway! I opted for the Ox Cheek Benedict, and David opted for the classic Duck & Waffle. We armed our options with sausages and hash browns for sides, and washed it all down with some tea. Mine was the tastiest eggs benedict that I've ever had! 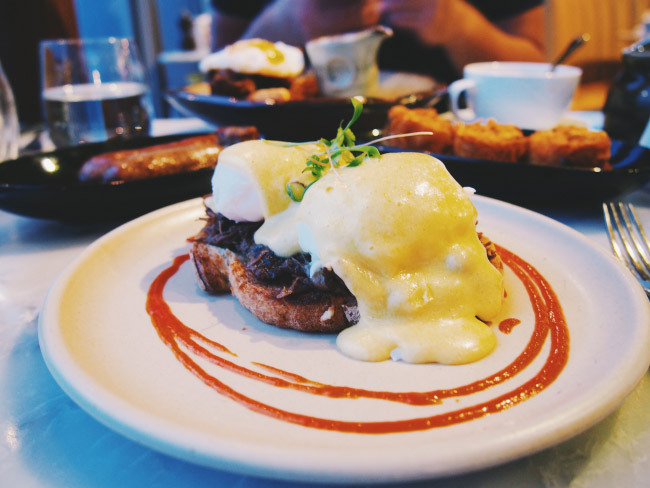 Perfectly poached eggs combined with the ox cheek was a great combo. 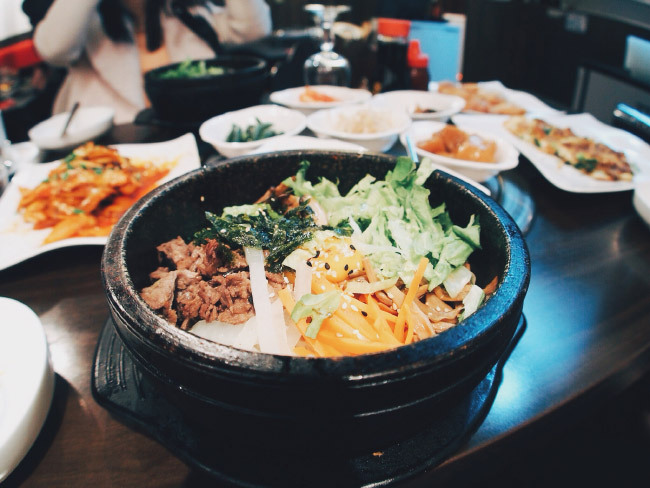 The sriracha sauce makes all the difference too! David wasn't too wowed by his duck & waffle but I think he just expected too much from it. I've tried it before and I thought it was just as tasty as the first time. Those hash browns were amazing though, mmm! The atmosphere in there is so lovely and calm in the morning and the views are amazing. It's nice to see the city wake up from high up there. Well, that's one ticked off the bucket list :). So autumn has come so I’ve brought out the autumn shades for my nails. 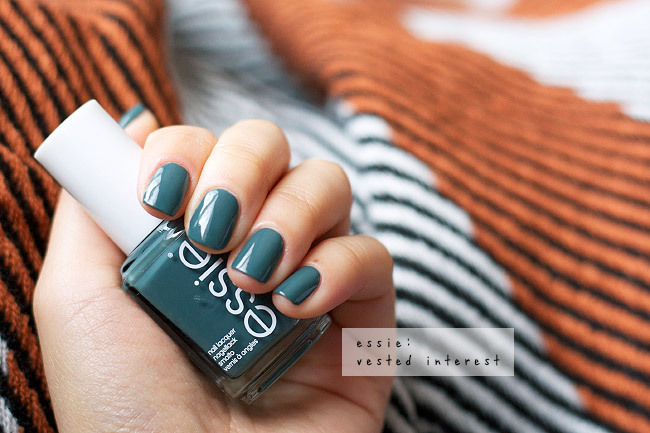 My current favourite is this lovely grey-toned green from Essie called vested interest. I love grey-toned polishes all year round but particularly in autumn & this shade makes green so wearable. What nail polishes are you loving at the moment? All content and images are my own, unless stated otherwise.